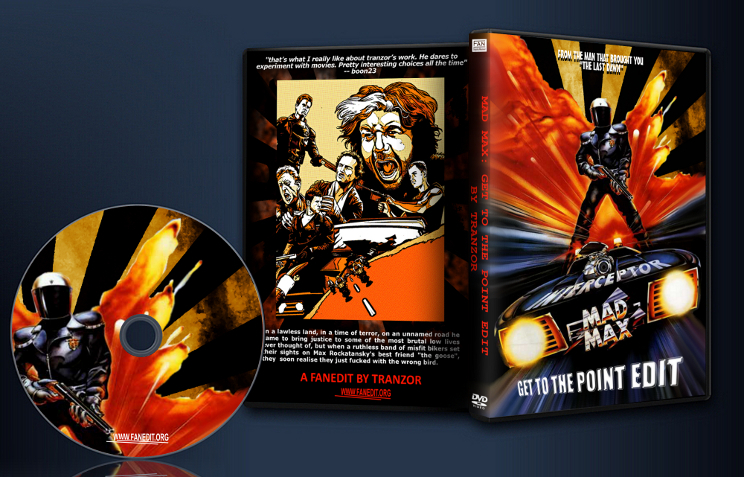 Most of the drama from the original Mad Max has been removed to create a pretty straight forward cop vs biker film. I loved the film but always thought a lot of the drama slowed it down (or it was the score music used though I do like that as well). At any rate I cut out most of the drama and now you have a pretty straight forward cop vs biker film. **** there is one small 30 second scene I should have removed but left it in. It does not hamper much. This is the scene were FiFi is talking with the lawyer type about bribing Max with a new car (the vCool in order to stay on the force. 3. Because I cut out Max’s family, it now looks like he goes nuts for what the toecutter gang did to his friend Goose. This is an older edit so the quality wasn’t too great. I enjoy the theatrical cut better. 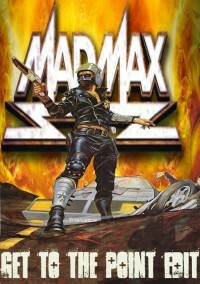 the first mad max film doesn't scream out as a film that needed to be fanedited but Tranzor did a good job in giving the viewer a new take on the film. it maybe works best if you decide to watch this along with the second film as a means of telling the origins of max and the world he inhabits in shorter time. with the family story removed the character of max isn't the main center of attraction in this edit until the end. not the best fanedit I've seen and it's a little rough in terms of editing but enjoyable non the less. 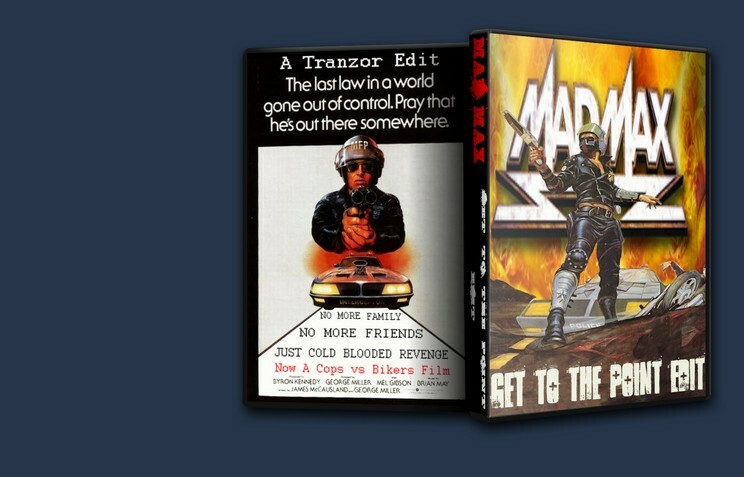 the edit comes with a commentary track from Tranzor which is entertaining. however there are times when he doesn't speak for long periods and with there being no sound to the film your just watching mad max with the sound off.